Did your tattoo seem attractive at one time, but not so attractive today? Or is your tattoo a permanent reminder of what was just a temporary feeling? If so, you are not alone! 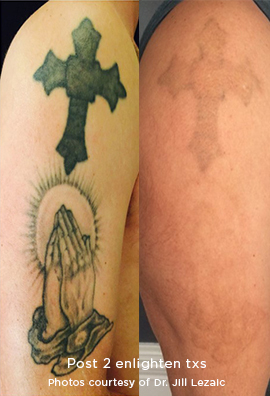 Change of heart or regret is the #1 reason why people seek laser tattoo removal. 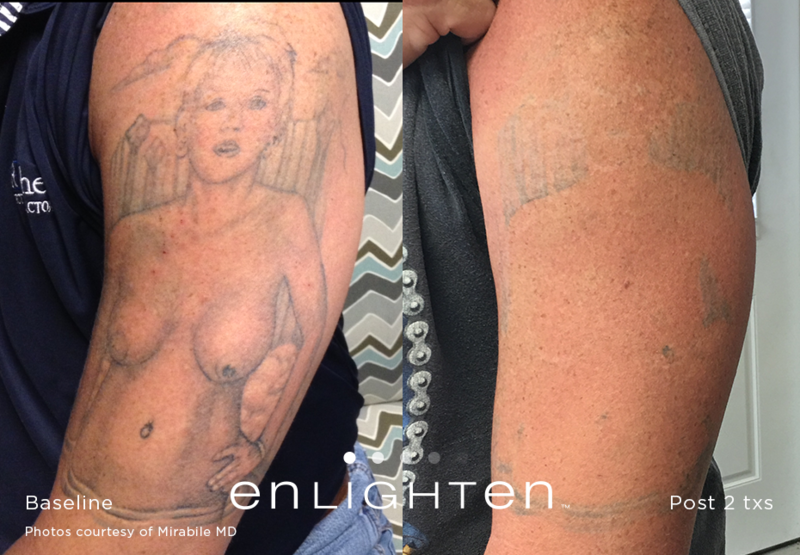 Finally, that unforgettable tattoo can become forgotten with the most advanced laser tattoo removal technology available on the market – enlighten™ . Please call for a consultation at 985-641-5476. Love the skin you're in!